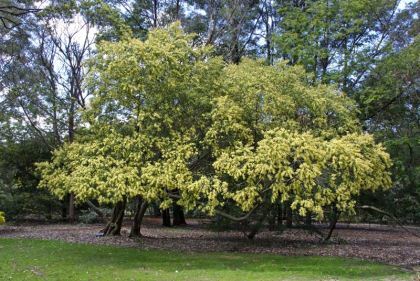 Acacia floribunda or the gossamer Wattle is an upright, fast growing, evergreen shrub or small tree that grows in a tall and bushy habit with pendulous branches and long, fine foliage. 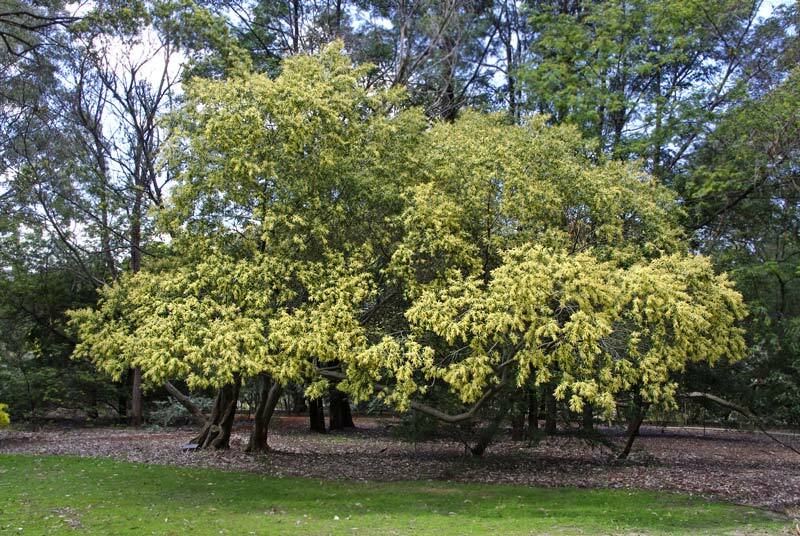 It blooms in early spring with masses of long cylindrical, fluffy pale yellow flowers. 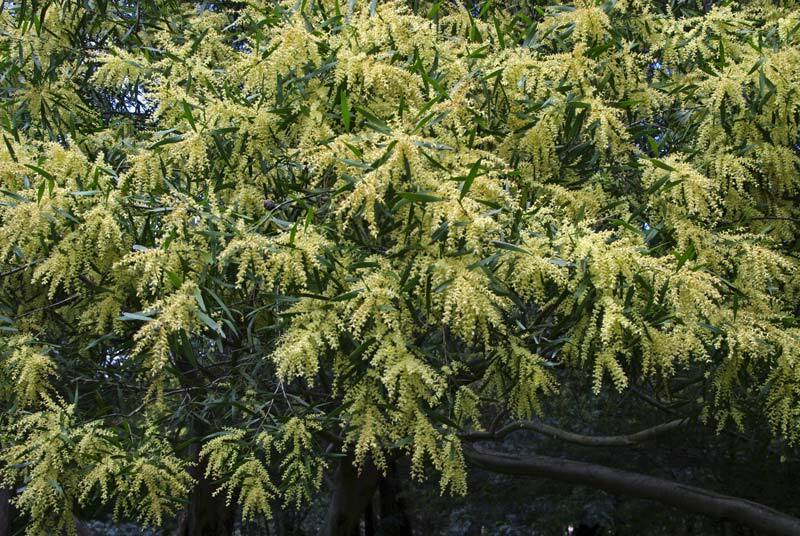 Acacia floribunda is a fast growing screen plant that goes particularly well in coastal conditions also serving effectively as a windbreak. It has smooth grey bark. Soil: Any well drained soil. Maintenance: It responds well to regular pruning to keep it tidy and compact, otherwise require little attention. Diseases: Susceptible to leaf eaters, wood borers, gall makers & sap suckers. Keep plant growing vigorously by application of blood and bone or slow release native fertiliser. 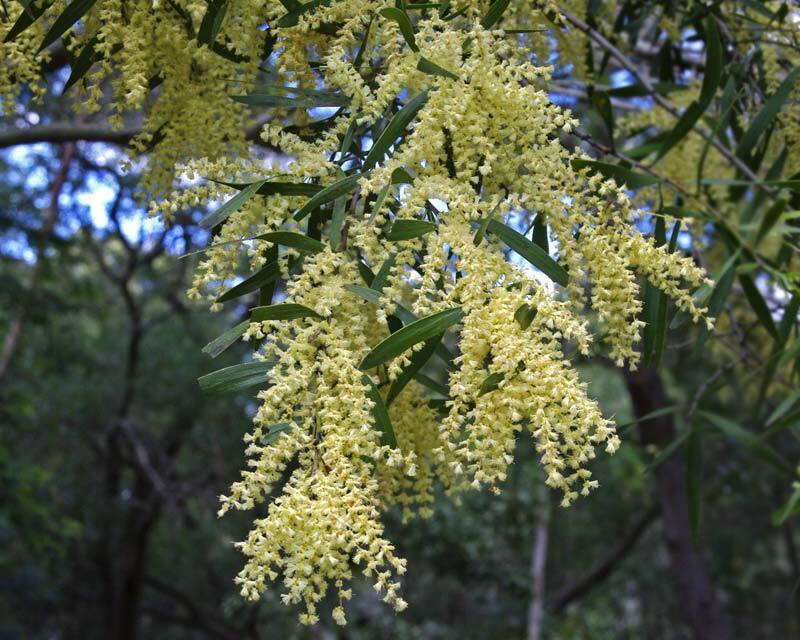 Marco - Toowoomba: Just wounderling where this photo was taken of the acacia floribunda?. Webmaster - Sydney: It was taken in Canberra Botanic Gardens in early October. Growing and retailing a wide range of native plants since 1974. Acacia floribunda - pale yellow stamens in flower. A close-up of the fruits of Acacia floribunda.